Trinity University is a bit of a rarity: a liberal arts college in the middle of a large city. San Antonio is the 7th largest city in the U.S. 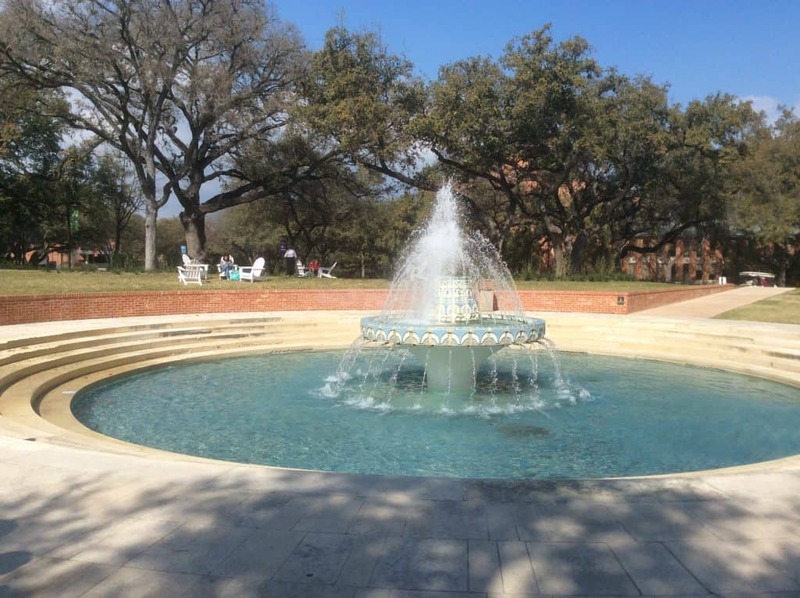 If you’re looking for a liberal arts school (or an engineering program) in a large city, Trinity University might be just the right fit for you. Trinity’s 2,500-student campus does not feel urban, despite the fact that it’s about 5 minutes from downtown San Antonio. Founded by the Presbyterian Church but no longer affiliated with any religion, Trinity has 43 majors, and distribution requirements instead of a core curriculum (take a look at these very practical requirements for first year students and beyond). Strong programs include neuroscience, education, computer science, accounting, communications and entrepreneurship, and the undergraduate engineering program is highly ranked. I toured the brand new Center for Science and Innovation, which allows natural science majors and engineers to collaborate in a state-of-the-art facility with significant shared study and presentation space. Overall, Trinity is ranked the #1 regional university in the West. Unlike most colleges in Texas, Trinity has about 40% out of state students, giving the student body both geographic as well as ethnic diversity. Students who are interested in being with people from different backgrounds will feel right at home at Trinity, and the diversity bleeds into the curriculum: some biology classes are taught in Spanish; some business classes are taught in Chinese. At Trinity, the lines between different groups of students are not sharp; athletes (30% of students are varsity athletes) mix with those involved in Greek life mix with international students. The fraternities and sororities are affiliated locally, not nationally, and there is no Greek housing. 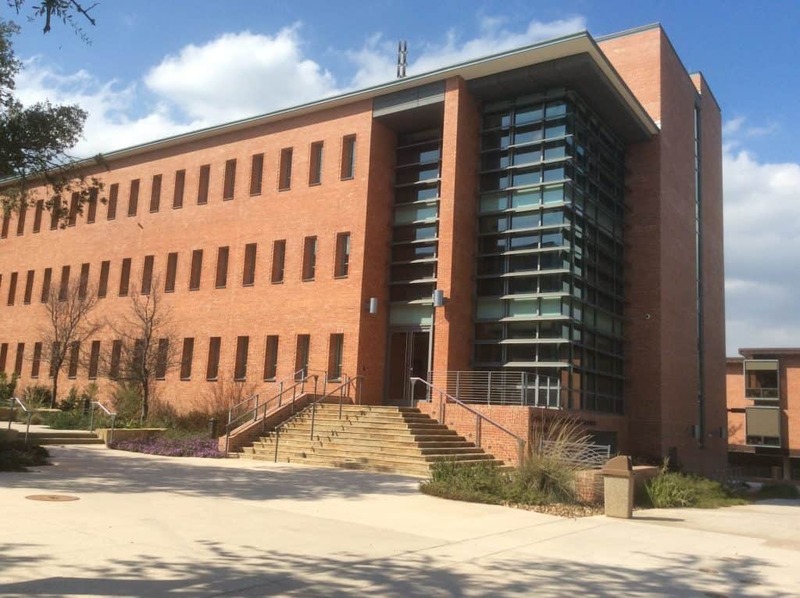 Students are required to live on campus for three years; the dorm rooms are very large and most have walk-in closets, balconies and suite-style bathrooms (as opposed to an entire floor sharing a bathroom). Rooms and bathrooms are cleaned by a cleaning service every other week. The brand new (2013-14) Center for Science and Innovation houses engineering, natural and social sciences, allowing students and professors to work inderdisciplinarily. I had lunch with a senior from Seattle, an urban planning major who had taken advantage of San Antonio’s interesting urban design, as well as research and internship opportunities. Small business is booming in San Antonio, giving students lots of internship and job opportunities. My tour guide, a sophomore from Las Vegas, said that “Trinity is remarkably affordable if you have good grades,” and she chose Trinity over Cornell for her Communications and Classics double major. Trinity has a beautiful campus and it is rare to find a strong liberal arts college right in a major city. Students feed their intellectual curiosity both on and off campus. Trinity’s mid-50% SAT scores are CR 560-690 and M 590-680 . Evelyn visited Trinity in February, 2015. You can see all of the pictures from her visit here.